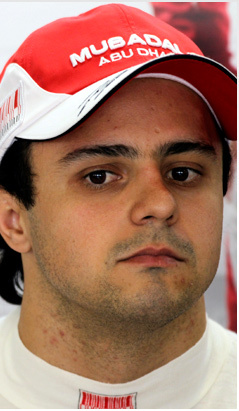 Ferrari is rich in mythology and sentiment, although the latter could be tested in 2011 if Felipe Massa does not take a stride forward. The Brazilian is immensely popular within the team, but president Luca di Montezemolo has already made it clear that he cannot afford another season like last year. This is not news to Massa, who has admitted that he had been told by the team during the winter that he needed to up his game. After struggling with the last generation of Bridgestone tyres, he's confident of getting back on form with the new Pirellis. But can he really be an Alonso-beater?